Community bike shops are run on a mandate to eliminate barriers to cycling by teaching people how to repair and maintain bikes (and offering the tools and space to do so), and providing safe, affordable bikes to those who might otherwise be priced out of the market. The shops pride themselves on being open, welcoming spaces, but there is a catch: If you want to hang out, you have to pick up a wrench or a tire lever. “I made a lot of friends and learned new skills,” says Mr. Ali, now 25. He also brought his own particular skill set to the shop. Mr. Ali spoke Arabic, and had picked up a handful of other languages while living in refugee camps, so the other mechanics called on him to translate for new clients. “Community bike shops are well-known as the place to get transportation when you arrive in Winnipeg,” says Geoff Heath, co-director of The WRENCH (Winnipeg Repair, Education and Cycling Hub), another of the city’s many community bike shops. There are community bike shops all across Canada, but Winnipeg’s particularly high concentration is a reason the city will host the 2017 edition of Bike!Bike!, an international gathering of community bicycle projects this August. Approximately one in five Winnipeggers are immigrants, and the city welcomed 12,383 new permanent residents in 2015 alone. Getting more working bikes on the road is just part of the community bike shop mandate. Education is also important. Whether running hands-on programs in neighbourhood schools, or just through day-to-day shop activity, places such as The WRENCH believe that self-reliance builds strong communities. Cycling advocates believe that getting more bikes on the road also makes neighbourhoods safer. “Jane Jacobs used to write about getting more eyes on the street,” says Tom Babin, a Calgary bike blogger (shifter.info) and author of Frostbike: The Joy, Pain and Numbness of Winter Cycling. Ms. Jacobs, the late urban renewal advocate best known for the book The Death and Life of Great American Cities, believed that the more “natural proprietors” are observing a neighbourhood’s comings and goings, the safer the streets. 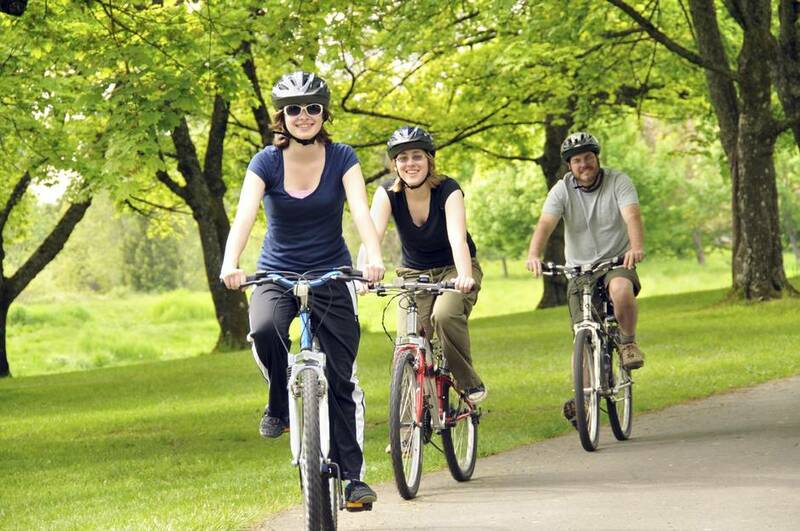 More bikes may make for happier neighbours, too. There is also an environmental upside to engine-less transportation. In a study of California air quality, the U.S. Department of Transportation estimated that replacing just 1 per cent of car and small truck trips with pedal powered transportation, for one day, would keep 20.11 tons of carbon monoxide out of the air. Improving their neighbourhood’s air quality is one of The WRENCH’s goals, but Mr. Heath says reduced emissions are not the only sustainability box that bikes check off. 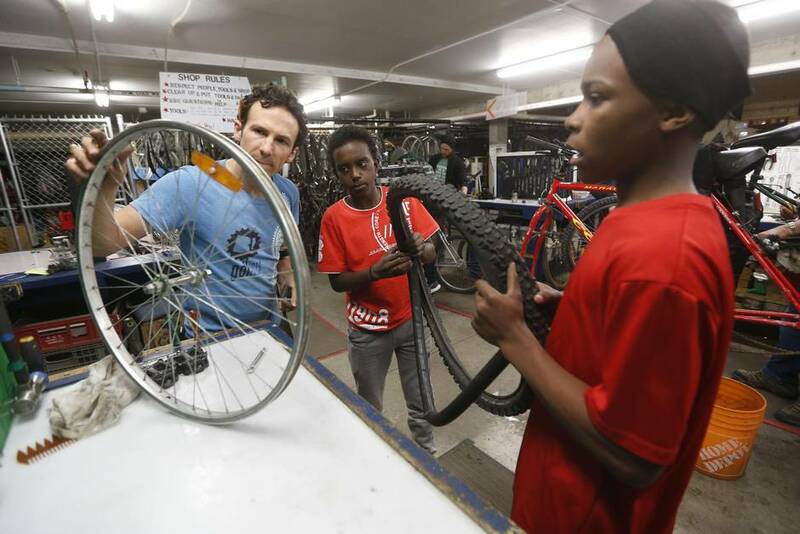 “We really focus on introducing a culture of repair to the youth of today,” he says, noting that The WRENCH has an arrangement to collect bikes from the city landfill. 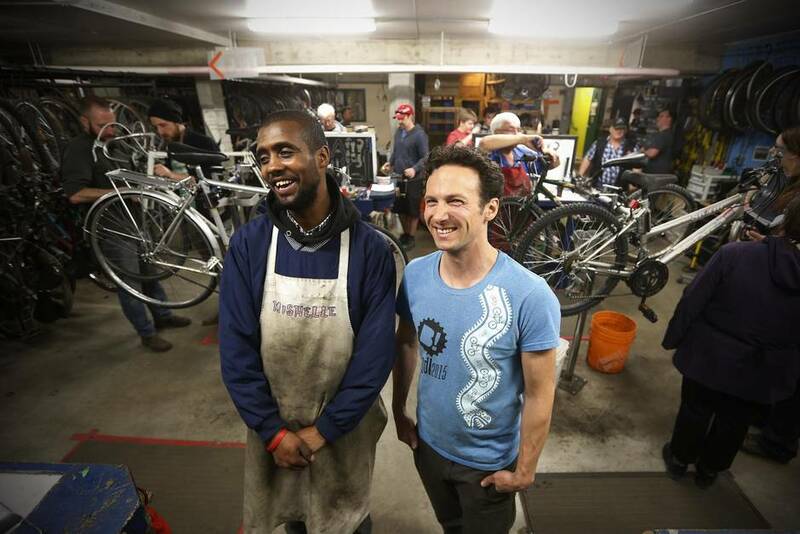 Each year, The WRENCH volunteers restore hundreds of bikes, which are priced on a sliding scale according to a client’s means, or exchanged for three to five hours of volunteer work in the shop. 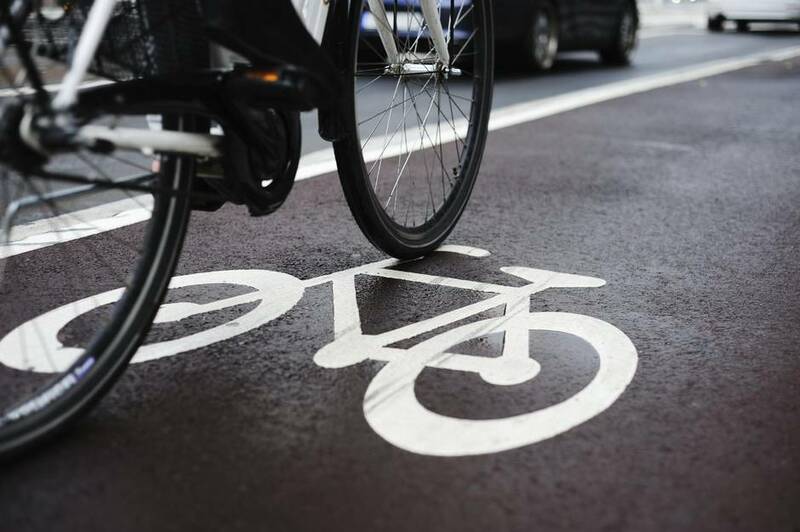 Although cycling is almost zero-emission in terms of air and noise pollution, a study by the European Cyclists’ Federation found that the activity isn’t carbon neutral: Bikes are responsible for carbon dioxide emissions of 21 grams per kilometre, compared to 271 grams for the average car. By getting unused bikes back into service, and thus avoiding additional production emissions, that already small amount becomes even lower.